Minister Stokes with Kylie Ferguson and Representatives from the Heritage Council, Royal Historic Society, Manly Warringah Pittwater Historical Society, Avalon Beach Historical Society, Pittwater Council Members and Dr. Avery - AJG Pic. Hon . 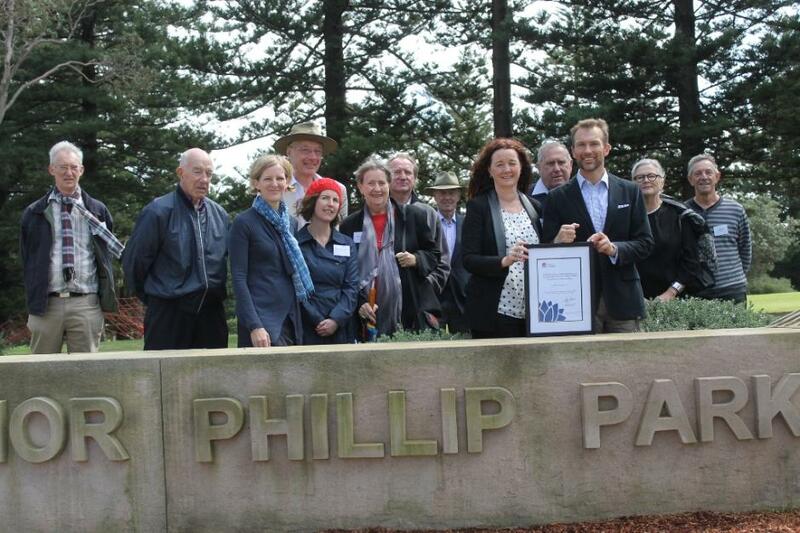 Rob Stokes, Member for Pittwater and NSW Minister for Heritage and NSW Minister for the Environment, was at Palm Beach’s Governor Phillip Park to commemorate 200 years since the Governor Phillip’s death on August 31, 1814 yesterday. Along with presenting Deputy Mayor Kylie Ferguson with a Certificate marking Pittwater Council's Contribution to the Heritage of Pittwater itself, Mr. Stokes announced that one million dollars worth of repairs and renovations at Barrenjoey Lighthouse and Headland are now well underway and guaranteed no inappropriate developments would take place on one of the few lightships still as it was when first created on his watch. 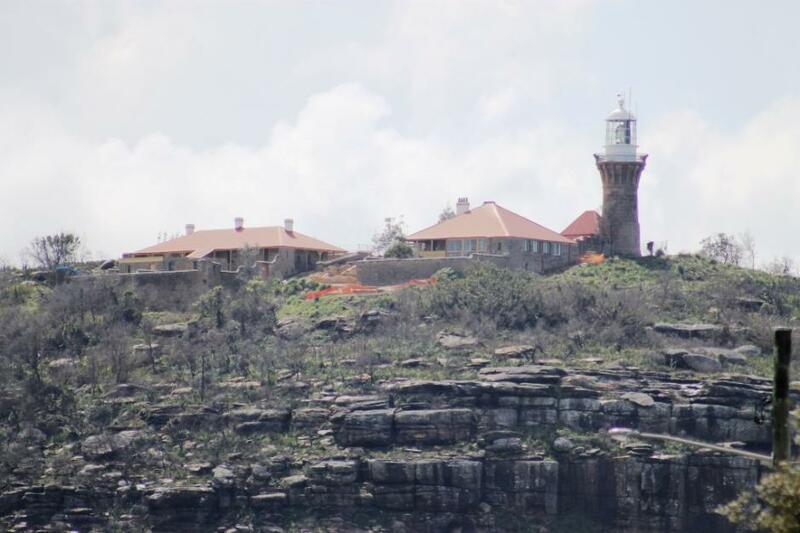 Repair and Renovation works underway at Barrenjoey. Left to right: The Inaugural Walkers with Lyn Illinsgworth - Day 22 - Mrs Macquarie's Chair - Picture by John Illingsworth. 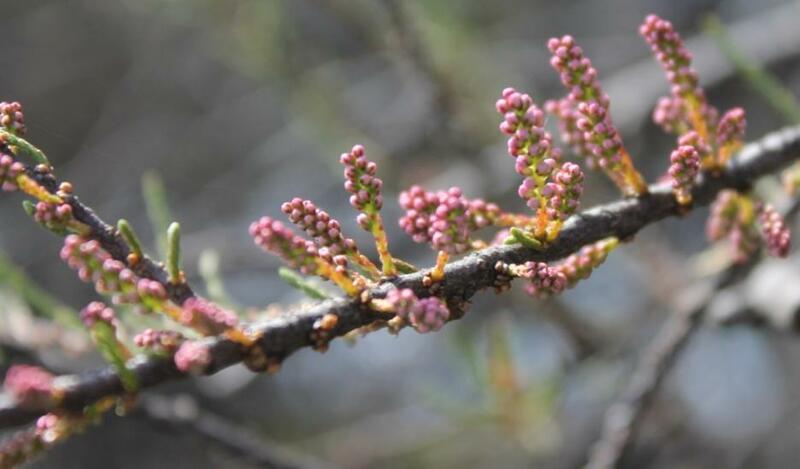 The Inaugural Sydney Harbour & Coast Walk finishes today, Sunday July 14th with a Celebratory Brunch at Lilyvale. Although the consensus from the road is that it has been a slightly damp 30 days, anyone worth their salt and familiar with walking tours, will know that revelling in how the blessings of rain keep you cool and bring to life any of the bush reserves you may visit along the way makes rain a bonus – no sunburn or heat exhaustion here. Pittwater’s John Illingsworth, supported by wife Lyn, has been accompanying the Inaugural Walkers on their 30 day stroll from Barrenjoey Lighthouse to Lilyvale, and sent us a report this week as a way for us all to celebrate this wonderful venture. The Inaugural Walkers have arrived at Australia’s first National Park, the Royal National Park, as we speak! What a succinct punctuation to illustrate much of what this first Sydney Harbour and Coastal Walk has been about - not only have the walkers been among the most beautiful areas, they have also visited many historic spots and deepened their appreciation of all to be seen along these ways. WE share some screenshots from the wonderful film Mr. Illingsworth will create once he is home and able to – as this week's Pictorial. 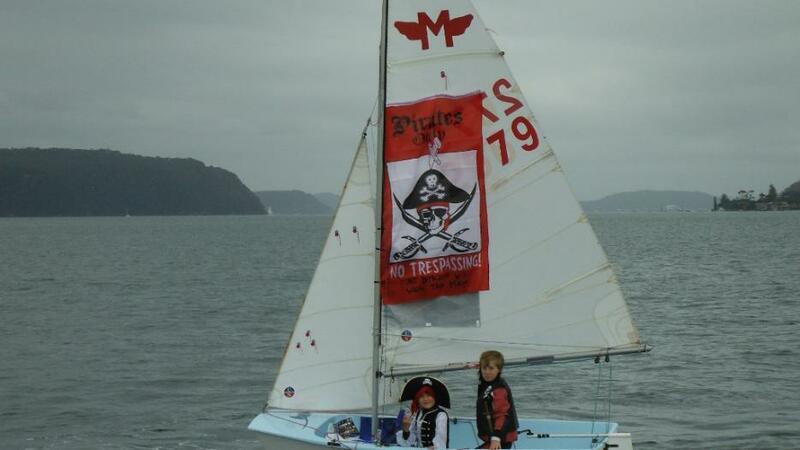 Our opening day was last Sunday 7th of September, 2014, and it’s traditional for the kids to dress up and sail by the committee boat which inundates the kids with enough chocolates and sweets to sink a pirate ship! ASC is running an exciting new Learn to Sail Camp from the 22nd - 26th of September. This camp is designed to suit complete beginners or novice crews who want to learn how to skipper. The camp is to be run using the exciting and fun to sail Bic Class boats. There will be fully qualified coaches with our wonderful Junior Avalon coaches supporting them on and off the water. The emphasis of our camp is safety and fun! 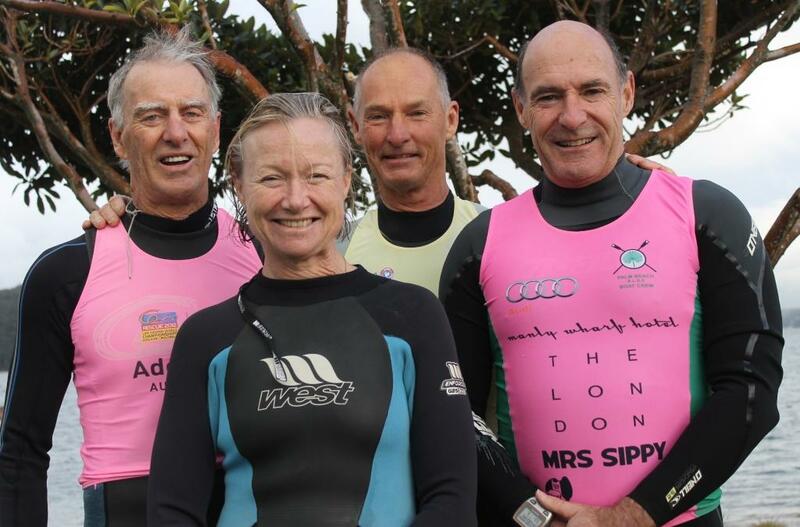 Bob Richardson, Chris Hopton, Chris McGuckin and Gordon Lang - Avalon Beach and Palm Beach SLSC Members going to Masters Competition at France 2014. AJG Pic. RESCUE 2014, Lifesaving World Championships is the largest international lifesaving sport competition in the world. Almost 100 lifesavers from the Northern Beaches are competing at Montpellier and La Grande Motte from September 13th to 26th. The Masters Division in Pittwater, a group of Mona Vale, Newport, Avalon and Palm Beach lifesavers who train together year round, are some of the fittest ladies and gentlemen you will meet with surf sports skills that improve with every season - a great reminder of how a passion for lifesaving extends your reach in all areas of your life. The above three gentlemen and lady are travelling to France to compete in the Lifesaving World Championships. Some of their fellow Masters have already departed. You can keep up to date on their progress on the Rescue 2014 website and Facebook page.